Forever linked to the World War II battle that took place 70 years ago, Normandy continues to honor the Allied soldiers who liberated France. The monuments, museums, and cemeteries are powerful testaments to sacrifices made, and the beauty of the area is a reminder those sacrifices were not in vain. 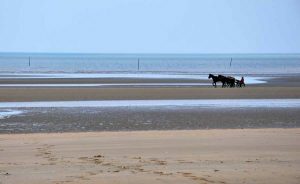 The eerie stillness of the beach… that’s what struck me first as I walked in the damp sand along Utah Beach on my first morning in Normandy, France. The only sound was the wind, a low murmur I imagined to be whispers of the young men who died on Normandy’s shores on June 6, 1944. Utah Beach today seems much more tranquil. Shortly after DiPietro landed, Irving Locker disembarked in the second wave at Utah Beach with the 116th AAA Gun Battalion. He was only 19 and already a staff sergeant with 65 men under his command. Normandy, one of France’s most beautiful regions, is much different today than it was when DiPietro and Locker landed in 1944. The grim destruction has been replaced by peacefulness, reverence, and an undying appreciation for the liberators who saved Europe. Before visiting Normandy earlier this spring, numerous people — including DiPietro — said the experience would transform my husband and me. 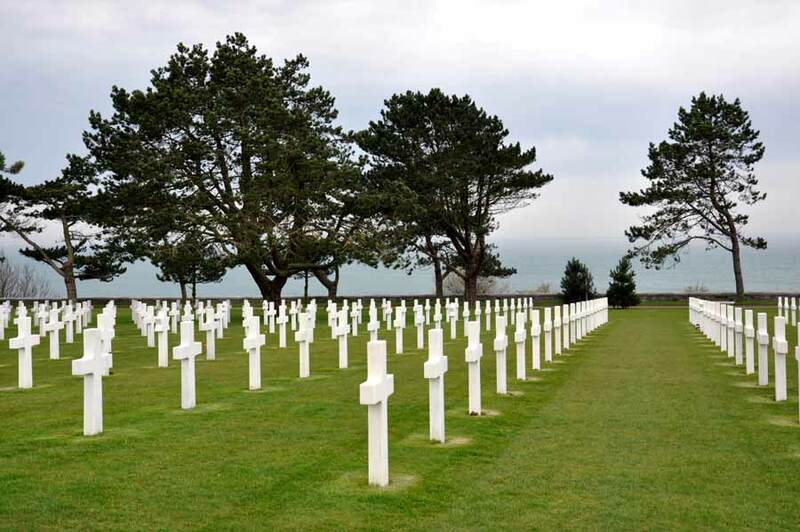 Normandy has so much to offer visitors that a one-day trip to the Normandy American Cemetery and Memorial at Colleville-sur-Mer, the site most familiar to Americans, is not enough. 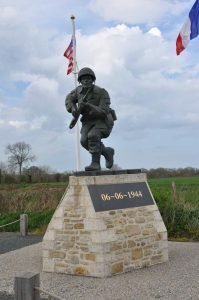 We chose to stay in Bayeux, the first town liberated, and follow the well-marked “Route de la Liberté.” The picturesque town is central to all of the D-Day landing beaches and museums and also has its own history that extends to William the Conqueror. Seeing the beaches where American soldiers landed was the impetus for our extended stay in Normandy. My late father-in-law was among the soldiers who landed at Normandy and lived; my husband wanted to walk those shores in his honor. Each beach has unique terrain although the distance between them is not far. Utah Beach is mostly flat while Omaha Beach has steep hills covered with thick brush. Overlooking both Utah and Omaha is Pointe du Hoc with its sharp cliffs where Germans were entrenched in 1944 with guns pointed toward the shorelines. We began at Utah Beach, which is home to the Musée du Débarquement with its 3,000 square foot exhibition hall. 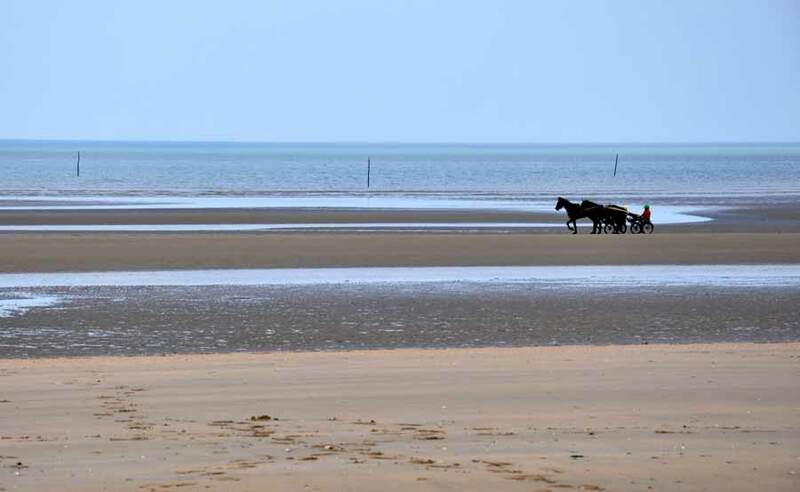 Even the French describe the beach as “lonely.” The two-lane road leading to the beach passes through pastureland and the lovely village of Sainte-Marie-du-Mont, where combat took place as American soldiers pushed inland from Utah Beach. Pointe du Hoc with its majestic views over cliffs scaled by U.S. Army Rangers on D-Day illustrates the difficulty troops faced. From the top of the 100-foot cliffs, Germans had clear shots toward both Utah and Omaha Beaches. Although U.S. Navy ships in the English Channel bombed the location, it was up to 225 Rangers to finish the job by engaging the enemy at the top. Remains of the German “pillboxes” are clearly visible and some have been reinforced so tourists can walk inside. Numerous bomb craters, now filled with wildflowers, are poignant reminders that success here also came at a high price. The initial Ranger landing force was reduced to 90 fighting men at the end of two days. Nothing fully prepares visitors for their first trip to the Normandy American Cemetery. Security is tight upon entering the Visitors Center, which is also one of the best military history museums in Normandy. We spent at least two hours seeing the interactive exhibits and videos. The individual stories about soldiers are heart-wrenching yet inspiring. The narrator in one of the videos said it best, “The fate of the free world — the entire free world — rested on their very young shoulders.” Walking through the “Sacrifice Gallery,” where every fallen soldier’s name is read aloud, is the prelude to entering the cemetery. Symmetrical rows of more than 9,300 headstones in the American Cemetery overlook Omaha Beach. The Battle of Normandy raged until late August 1944, and the markers indicate that many boys survived D-Day only to fall weeks later. Personnel from the cemetery will help visitors find a relative who is buried there. Surprisingly, many of the headstones are for unknown soldiers. The most poignant moment of our trip was watching a young British soldier walk through the cemetery and place his left hand on the unknown soldiers’ marker while he saluted with his right. From the American Cemetery, we followed a path down to Omaha Beach. It was a somber, gray morning much like the one 70 years ago. Again, an eerie calmness enveloped us. As my husband walked, he tried to imagine his father as a young man — a boy really — landing on that beach and lucky enough to survive. I thought about all the mothers and young wives back home whose lives were forever changed by news their men wouldn’t be coming home. And then I noticed buried in the sand a delicate seashell in the shape of a butterfly. The wind simultaneously echoed a message of transformation and eternal life. I knew then the young men who died on the route to liberty could never be forgotten. 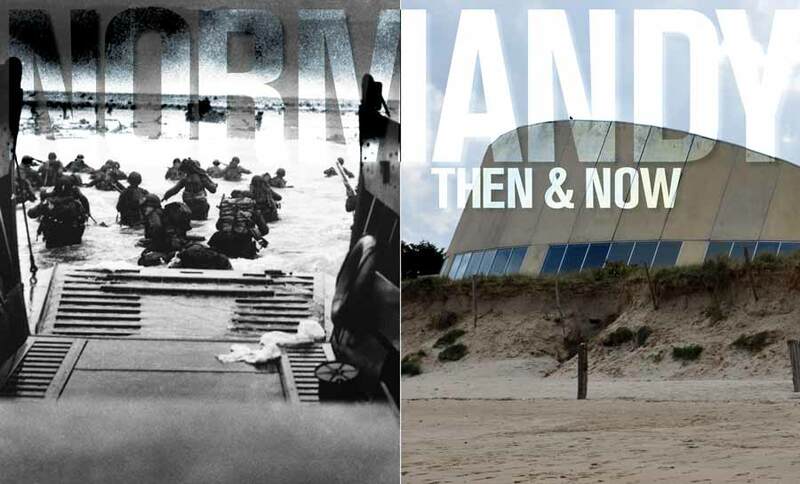 If you plan to visit several WWII museums, buy the “Normandy Pass” at the first museum you visit. The pass costs one euro (about $1.39 U.S.) and entitles you to discounts at 40 participating museums and places of interest. The 82nd and 101st Airborne Divisions parachuted in shortly after midnight on June 6 to secure the town of Mère St. Église for the coming invasion. Unfortunately, many paratroopers were shot as they landed because a house fire in the center of town had awakened everyone, including German soldiers. 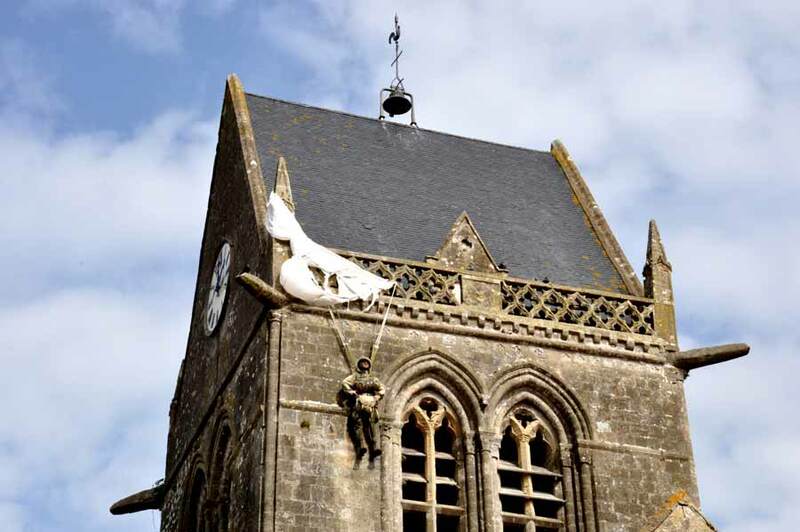 To commemorate the liberation, the picturesque church has a replica of Paratrooper John Steele hanging by his parachute on the church spire — just like he did for hours after being wounded. Steele lived to tell his story and even became an honorary citizen of Mère St. Église decades after the war. Take time to study the church’s stained glass windows, which honor the paratroopers, and then head to the Airborne Museum across from the church. Saverio “Sam” DiPietro wanted to join the U.S. Navy, but a draft notice from the Army changed his plans… and life. At age 19, he found himself training to be a tank driver; at 21, he was driving a command tank ashore on Omaha Beach. DiPietro’s lieutenant was shot by a sniper on the second day; a few days later, his tank was destroyed by enemy fire. With his second tank, nicknamed “Banshee,” he made it all the way to Sainte Lô, a town on the Bayeux Highway that was almost totally destroyed in the Battle of Normandy. He volunteered for a mission to destroy a farmhouse where Germans had guns, but he made the other driver — who was also his best friend — get out so a young scout who knew the location of the farmhouse could ride along. DiPietro thought he’d lost his arm, but managed to stay lucid enough to open the hatch so someone in the tank behind him could pull him out. Medics on Omaha beach gave him blood transfusions and sewed him up as best as they could before shipping him to a military hospital in England. He underwent surgeries and rehabilitation in the United States. After a complete recovery, he went to work for the U.S. Postal Service. A native of Long Island, N.Y., DiPietro eventually moved to St. Petersburg. 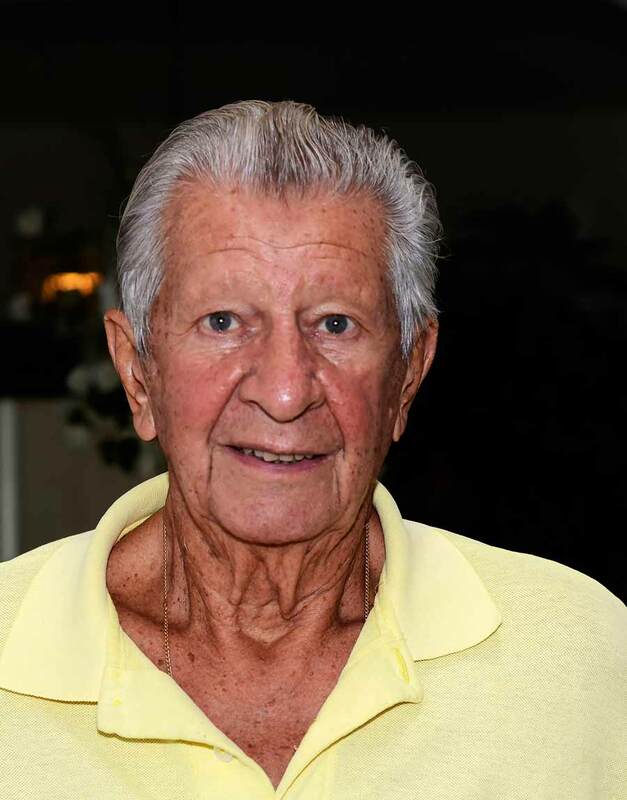 He and his wife, Helen, moved to The Villages nine years ago where Sam enjoys golfing. “I wasn’t in France very long but I remember everything I did,” says DiPietro, who has returned to France several times since the war. And in honor of the tank that didn’t explode, DiPietro named his golf cart “Banshee.” It’s also purple for his Purple Heart. 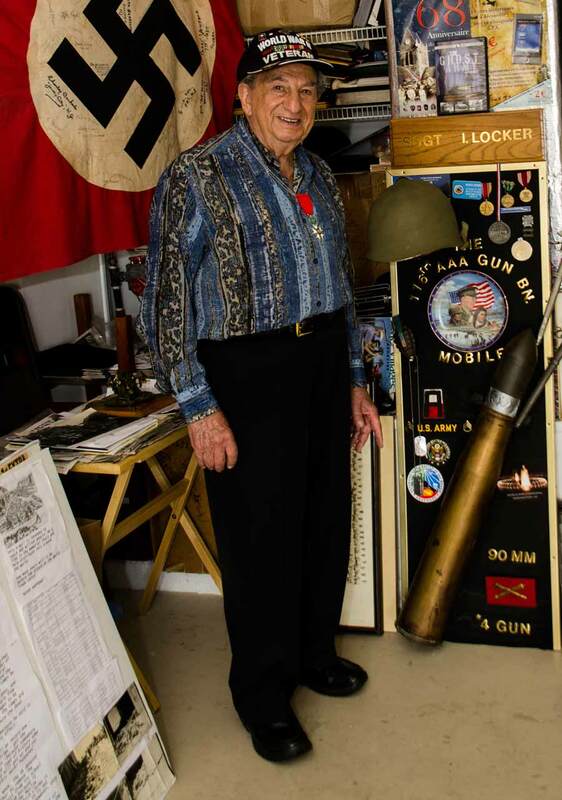 Irving Locker of The Villages will be present when 70th anniversary ceremonies take place at the Normandy American Cemetery this month. It will be the first time he has been in France since he was a 19-year-old staff sergeant leading his men ashore on Utah Beach. “I did not want to return to France,” he says. “For a long time it held nothing for me but horrible memories.” Friends and his wife, Bernice, convinced him to accept an invitation from “D-Day Revisited,” a private organization in Britain, to lay a wreath in honor of the Americans killed during Operation Tiger, a training exercise that went awry in England even before the D-Day invasion began. He was the only American invited to take part in the ceremony in Slapton Sands, Devon, England. Although his trip began in late May in England, he will spend June 6 in Normandy. This landing will be a lot different than it was when he was only a year out of high school. 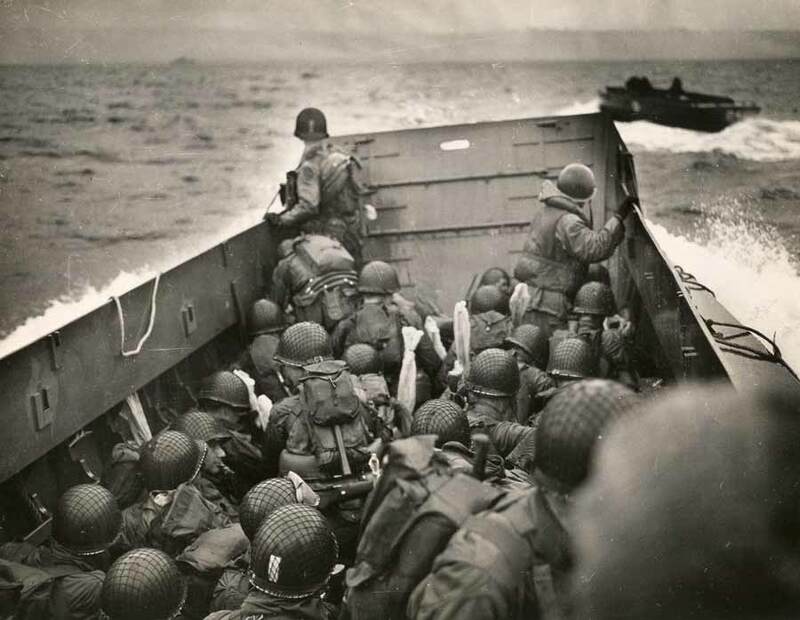 “We had to jump off the Higgins boats fully loaded with 27 pounds of ammunition and a rifle on our backs. If you fell in the water, you would drown unless a buddy could pull you up,” the Passaic, N.J., native remembers. After the war, Locker had a distinguished career in graphic arts, which took him around the world but never back to France. He and Bernice, his wife of 65 years, moved to The Villages six years ago and are well known in the ballroom dance club for their elegant style. In 2011, he was awarded the Knight in the National Order of the Legion of Honor by the French government for his service to free France. Now 89, Locker’s mission is not complete. He talks to students, churches, and club groups about his experiences and letting them know that freedom is not free. Mary Ann DeSantis is a fellow of the Symposium for Professional Wine Writers, Napa Valley, and recently received certification from the Wine & Spirits Educational Trust (WSET). An award-winning journalist, she has written for Lake & Sumter Style since 2006. I would like to know the path of 116th AAA from Normandy to Bastogne. My father was attached to 132 AAA but might have been with 116 AAA as well perhaps in Bastogne into Germany. Capt. Elwood Pais. I have the pleasure of knowing Sammy. He was a hero at Normandy and never talked about it. He is also a hero in life, who had to face more tragedy than anyone should and always carried himself with a quiet dignity. I am proud to know him. Thank you for giving us “The Best” and them giving us a reminder how hard young men and women make sacrifices to give us a safe and God protected NATION. An extremely informative and well written article. Thank you for reminding us how much our “freedom” cost us. 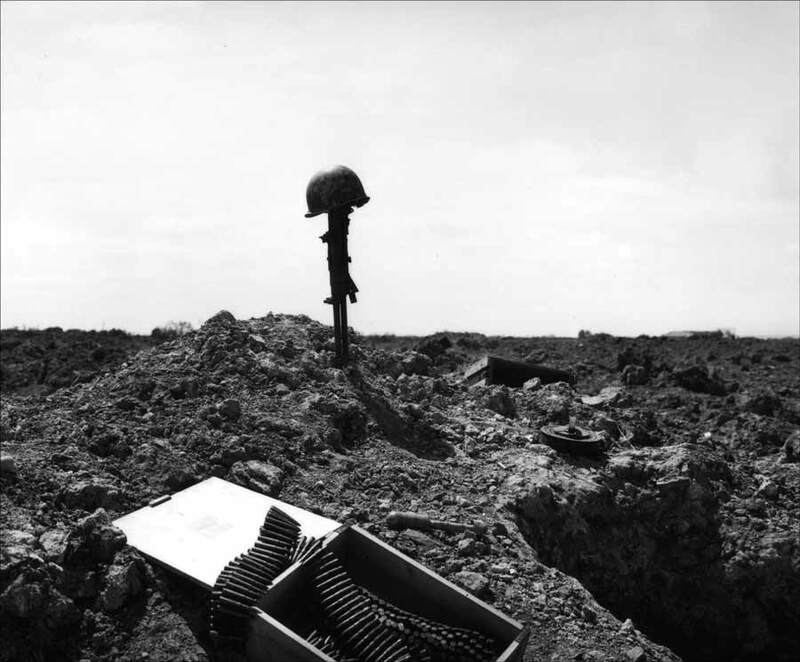 The article on Normandy, written by MaryAnn DeSantis, was a fabulous piece. She provided the reader with the exact visual and deep emotions that are felt when visiting the various sights in the Normandy area. I visited there last year with my husband, a retired military officer, (he’s been there 4 times). I have never felt so proud to be an American and hope that everyone appreciates the freedom the military provides, both today and in the past. Thank you for recognizing these soldiers!